Some of my popular shots in a collection linked to a European print lab, which is ideal for having my prints shipped to Europe. 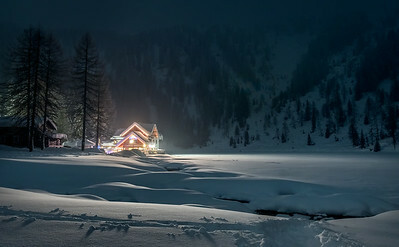 Night shot of Rifugio Nambino, located in the Adamello-Brenta National Park, right by Lake Nambino. In winter, the lake is frozen and its surface is covered with snow. Access to the area is strictly regulated and walking is the only way you are allowed to reach the refuge. The closest town is Madonna di Campiglio, Trentino, Italy. Reflection on Lake Bled in autumn. The island in the middle of the lake features a gothic church. 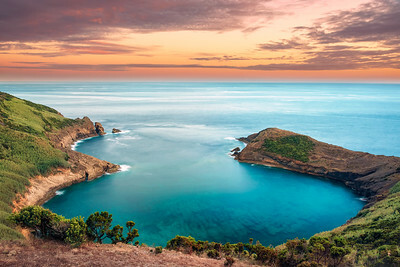 The spot is truly beautiful and has become a classic for photographers. 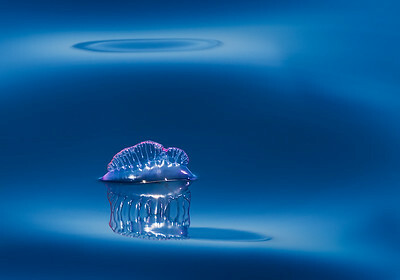 This image was awarded Top Photo Winner in Vacation Destination Challenge on GuruShots. 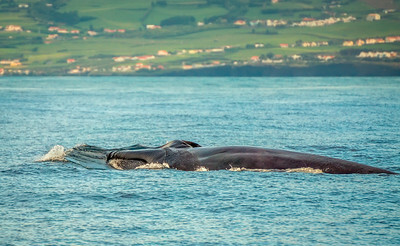 The biggest animal ever to live on our planet - the Blue whale (Balaenoptera musculus) rarely flukes up in the Azores. This one did it and nicely framed the Ilheus da Madalena for me. The two rocks in the background - the Ilheus - are the two islets just outside Madalena harbour. 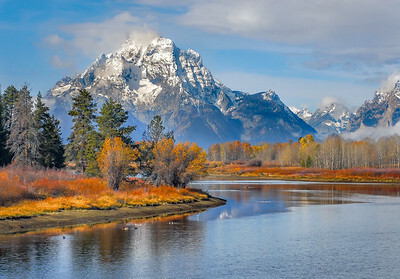 View to the Tetons from my trip to Wyoming and Montana in 2011. Now a museum, the whaling station of Porto Pim is located on Faial Island, Azores. 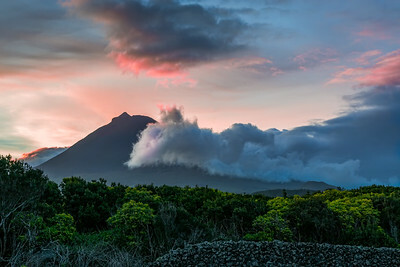 At sunrise, I first got very excited because of the nice light, to then feel a little disappointed because I was hoping to capture the entire Mount Pico in the background. 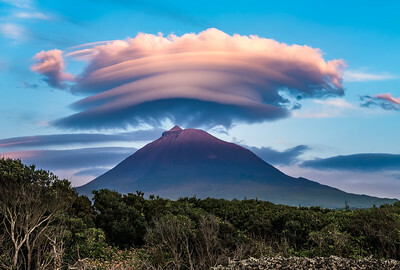 Funnily enough, in the end my feelings about the image changed again after reading a comment of my good friend and great photographer Luciano Catozzi, who pointed out the picture is much more intriguing the way it is, with just a hint of Mount Pico peeping out from behind the clouds. This shot of the Fábrica da Baleia de Porto Pim is therefore dedicated to Luciano. 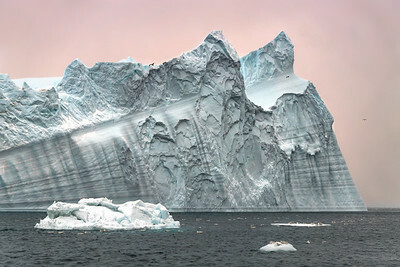 By far, the nicest iceberg I happened to see during my winter trip to Greenland. While on a boat tour, I instantly fell in love with the shape and texture of it. 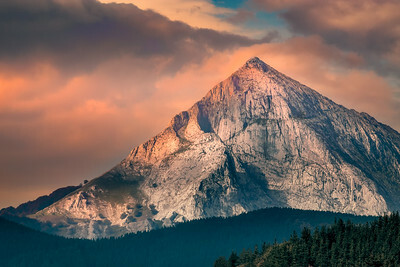 Mount Anboto (1331 metres) is a limestone mountain located in the Basque Country. It is the highest peak of the Urkiola range. I was on the motorway to Irun when this very sharp mountain captured my attention. Luckily, I was very close to a rest area, managing to pull out and take the shot before the light was gone. 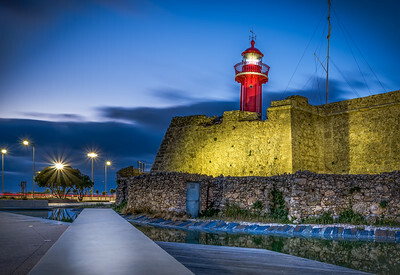 My take on the Forte de Santa Catarina at blue hour, Figueira da Foz, Portugal. 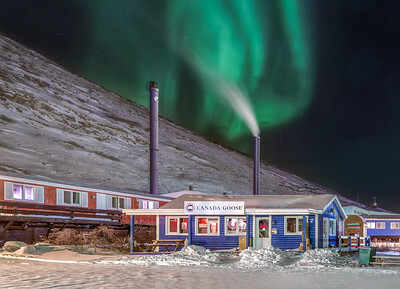 Aurora Borealis in the skies of Kangerlussuaq, Greenland. The place is as arctic as it could be, making it a fantastic location for a Canada Goose store and their Arctic Program. 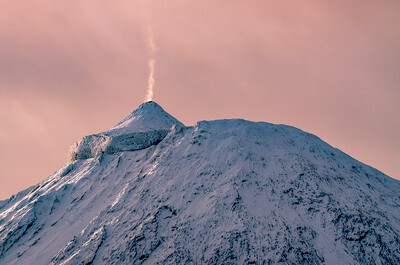 It was right while taking this shot that I realised a fumarole was starting to appear on the volcano. You can find another shot in this gallery which I took after changing lens and zooming in on to the fumarole, which became meanwhile much more visible. 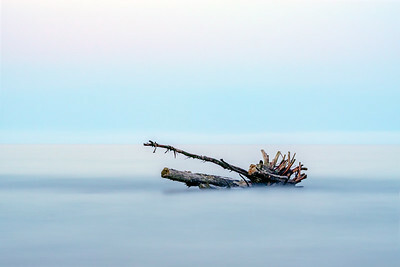 Long exposure of a tree ended up out at sea after a storm, taken from the beach of Senigallia, Marche, Italy. Sunset on the Dolomites captured from Campitello di Fassa, Val di Fassa, Trentino, Italy. The peak in the middle is called Dente (2859 metres) and the one on the right hand side of the image is the Innerkofler (3114 metres). The red glow on the mountains is known as Enrosadira, a word of Ladin origin (not Latin!) . 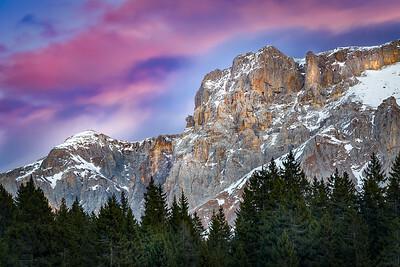 The optical phenomenon, observed at sunrise and sunset with variable intensity, is due to the type of rock that composes the Dolomites, known as Dolomia. In turn, Dolomia gets its name from the mineral Dolomite, which is made of calcium carbonate and magnesium. The famous Galleria Vittorio Emanuele II at Christmas time. 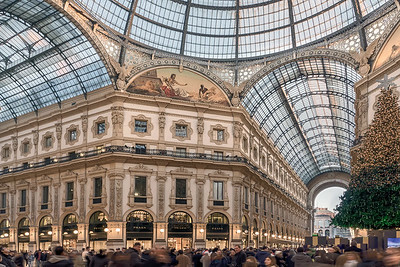 Located in the very centre of Milan, it connects Piazza del Duomo (Cathedral square) to Piazza della Scala. 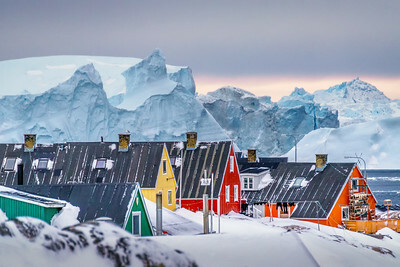 Colour houses in Ilulissat, Greenland. There is a bird on one of the chimneys and I first zoomed in on it, to then realise a wide angle shot would be more pleasing, at least to my taste. 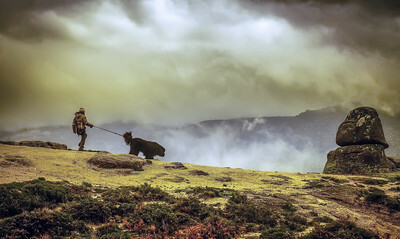 Newfoundland dog walking a human in Peneda-Gerês National Park, Portugal. 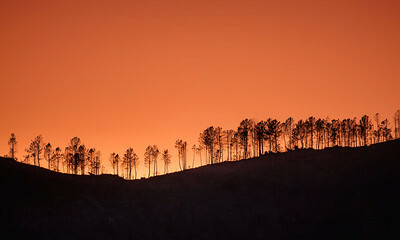 Sunrise on single tree line in Peneda-Gerês National Park, Portugal. The area was ravaged by fires in 2017. 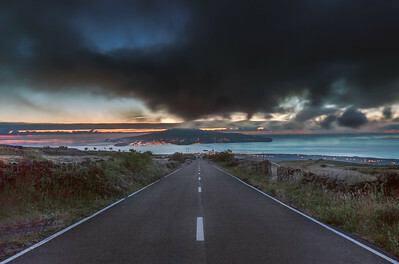 View to the island of Faial from the road that crosses Pico Island from the mountain to the coast. My wife was spotting for cars behind me, so that I could safely take the shot. Commonly used by fishermen and hunters, sled dogs are widespread in Greenland, where there are no roads between towns. Sunset on the Brenta Dolomites, north range, Italy, picture taken from Madonna di Campiglio. My take on the series of volcanic cones you can see from the road that leads up to Mount Pico. 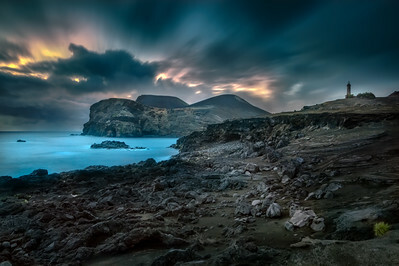 The island, called Pico, is the second biggest of the Azorean archipelago (mid-Atlantic, Portugal). Twilight shot of Lake Bled, Slovenia. 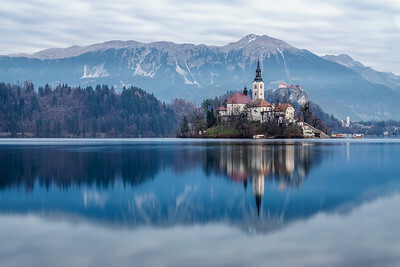 It was a very cold day of December and I really struggled for the two hours I spent out there waiting for natural light to match the artificial lights on Bled island. I chose a so called Pletna boat as a foreground. 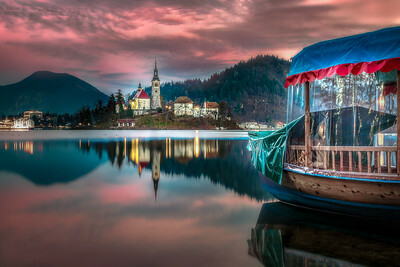 These traditional boats are only known at Bled and are operated exclusively by the Pletna oarsmen, a title that is passed over generation to generation. 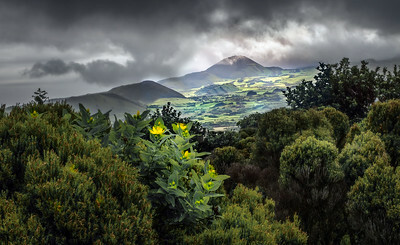 Cloudy sunrise on Pico volcano (2351 metres), the highest peak in Portugal, Pico Island, Azores. 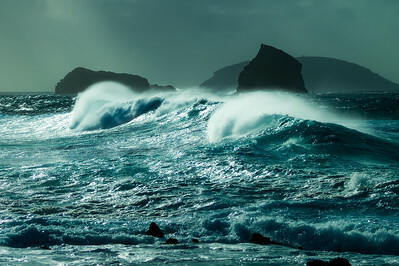 The Ilheus da Madalena on a stormy day on Pico Island, Azores, Portugal. 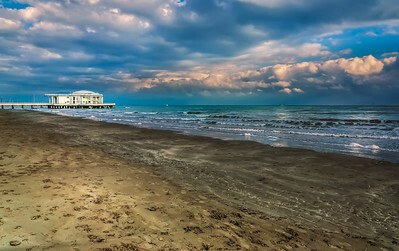 Designed by architect Vincenzo Ghinelli, the Rotonda a Mare of Senigallia (Marche, Italy) is a platform that was built in the second half of the 19th century. Utilised as a military warehouse during the second world war, in the 50s and 60s the Rotonda turned into a very trendy live music venue, inspiring the lyrics of the popular song by Fred Bongusto "Una Rotonda sul Mare". 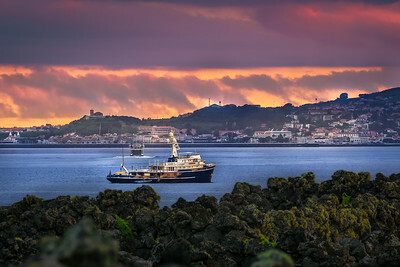 Sunset on the channel between the islands of Pico and Faial, Azores, Portugal. The lava rock wall in the foreground is part of the Landscape of the Pico Island Vineyard Culture, a Unesco World Heritage Site. These walls protect the plants from the wind and salt. I was quite a way inland when I took this shot and I had to use a telephoto zoom at 300mm. 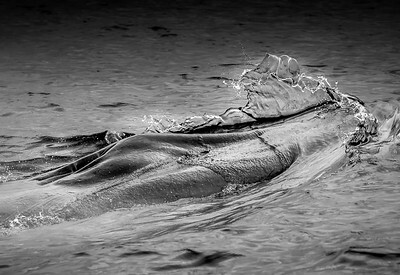 I did not want to use an ISO higher than 200 and, since it was getting pretty dark and the boat in the foreground was moving from side to side, I could not use an aperture smaller than F10 to get everything in focus in a single shot. 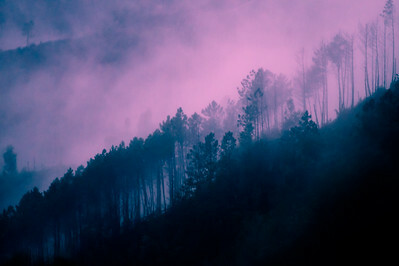 Therefore, I took two exposures (one for the foreground, the second for everything else) and blended them using a technique called focus stacking. It was a late afternoon at the beginning of November in Peneda-Gerês National Park. 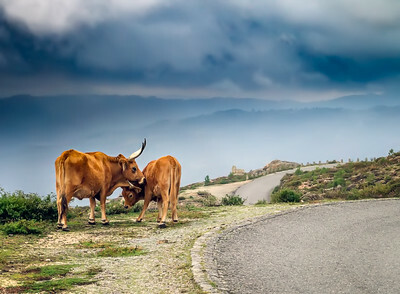 As soon as I saw these cows and felt I had a nice composition in front of my eyes, I pulled off, got out of my car and took the shot. The tenderness these two animals showed towards each other is one of my best memories of the trip. 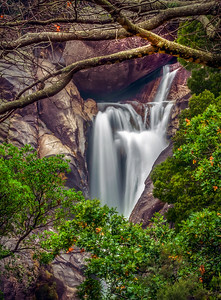 Located in the heart of Peneda-Gerês National Park (Portugal), the waterfalls of Arado are one of the main tourist attractions. 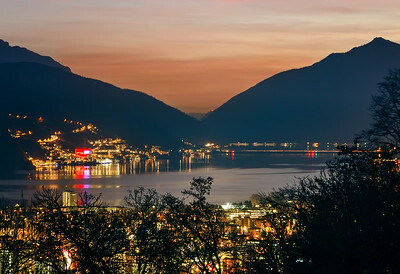 Night view of Lake Lugano, Switzerland. 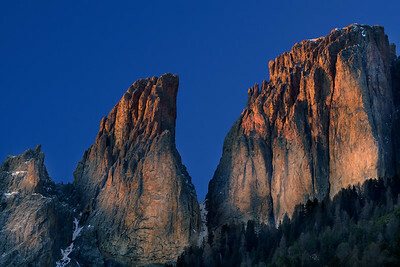 The deep, V-shaped mountain profile allowed me to capture the sunset lights in the background, while the mountains themselves shielded the shoreline from the natural light, thus producing an almost pure night shot in the foreground and middleground. The red building across the lake is the Casino di Campione, located in the Italian municipality of Campione d'Italia within the Swiss canton of Ticino. 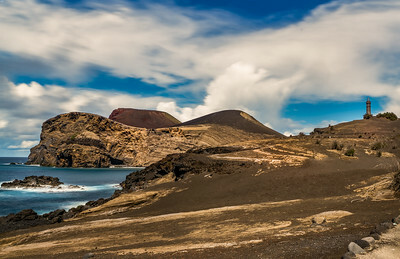 Here you see the volcano of Capelinhos and the ruined lighthouse next to it. 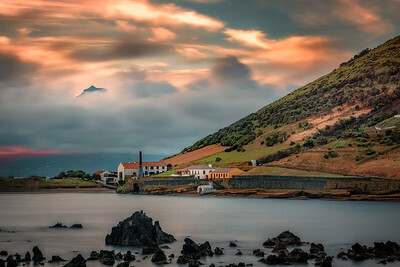 Located in the mid-Atlantic, on the western side of Faial island in the Azores (Portugal), the volcano last erupted in 1957-1958, for 13 months in a row. The natural catastrophe started with a submarine eruption and then involved lava bombs, pyroclastic clouds as well as lava streaming into the ocean. Although there were no casualties, thousands of people had to leave their homes. In 1958 the United States of America helped through the so called Azorean Refugee Act, by authorising the emigration of 1500 people. Among the Congressmen sponsoring the act was a young Senator of Massachusetts named John Fitzgerald Kennedy. The first floor of the lighthouse is still completely buried in ashes and sand. My black and white take on the dramatic scenery of the Capelinhos volcano and its ruined lighthouse. The volcano last erupted in 1957-58. 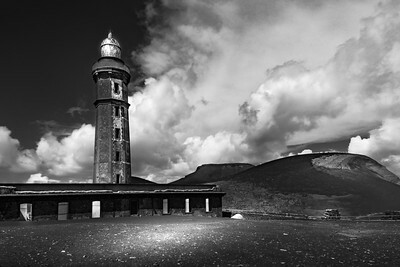 The ruined lighthouse of Capelinhos, a volcano on the western side of Faial Island, Azores, Portugal. I have uploaded a picture of the volcano itself briefly before this one, in case you wanted to see what it looks like. 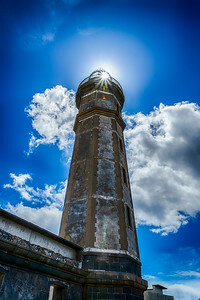 The lighthouse survived the last eruption in 1957-58, although the first floor of the building is still buried in ashes and sand. 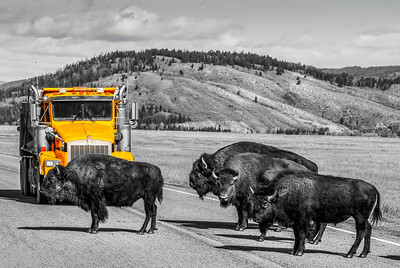 Spot color photo of bison causing a bit of a traffic jam in Yellowstone National Park. Rather than simply crossing, these four bison stopped in the middle of the road for a little while, thus freezing the shot themselves rather than the photographer! 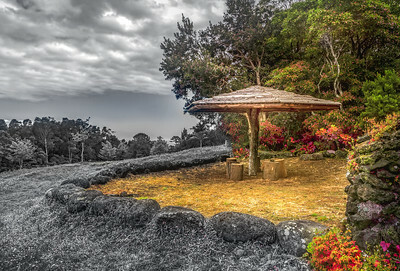 I took this shot in the area of the Parque Florestal da Prainha (Pico Island, Azores, PortugaI) and thought it would end up either in colour or black and white. Reality is... 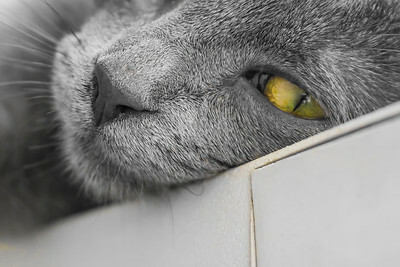 I could not make up my mind! 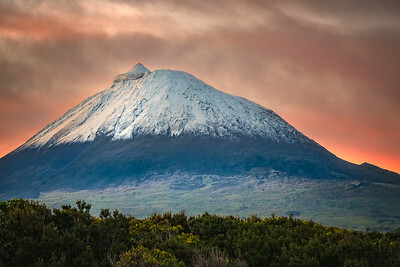 Sunrise on snow-capped Mount Pico (2351 m), a stratovolcano located in the mid-Atlantic on Pico Island (Azores, Portugal). 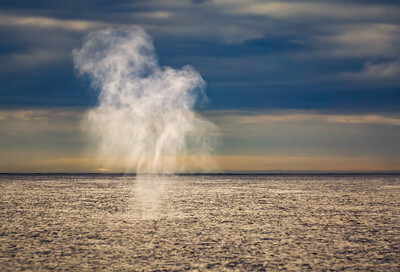 The fumarole on its top is not often observed from sea level. Constantly monitored by volcanologists, Pico is dormant and last erupted in 1718. 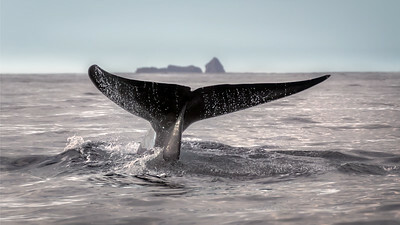 Spring on Pico Island is very high season for watching baleen whales (suborder Mysticeti) during their northbound migration towards high latitude foraging grounds. 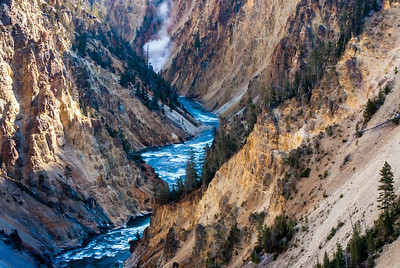 The river flowing through the Grand Canyon of Yellowstone and, far away in the background, cues of a hydrothermal feature. 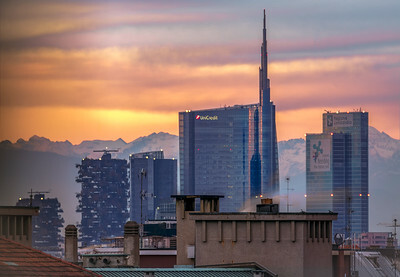 Sunset in Milan, Italy, my hometown. While pretending to shoot the mountains with Milan in the way, I actually captured the tallest skyscraper in Italy. The UniCredit is 231-metre tall. Designed by architect Cesar Pelli, it was completed in 2011. 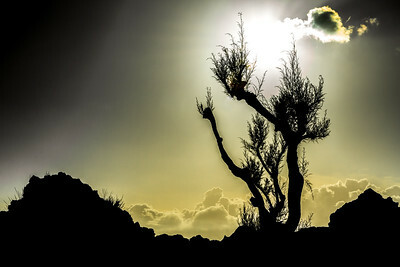 A solitary tree standing in the sun on a cliff of the mid-Atlantic. 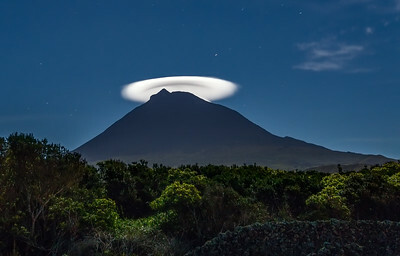 Picture taken in Cachorro, Pico Island, Azores, Portugal. 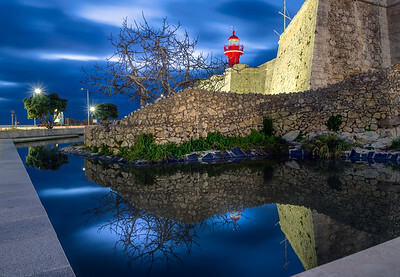 Blue hour at the lighthouse of Forte de Santa Catarina, Figueira da Foz, Portugal.